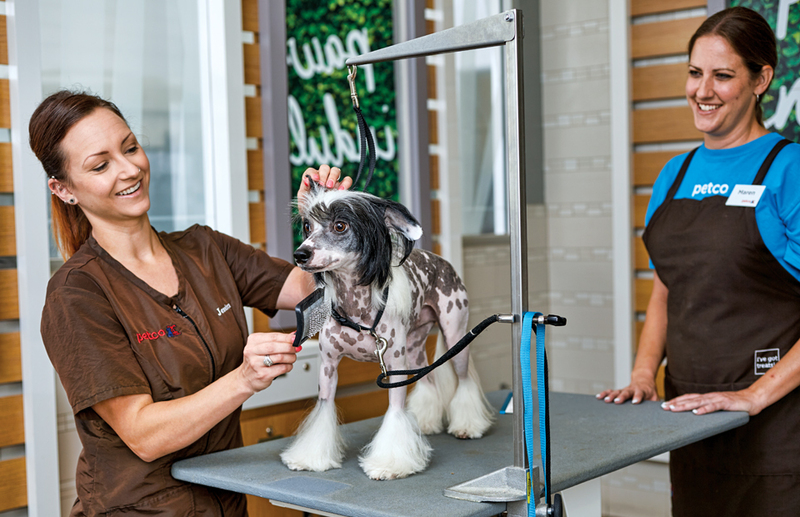 Our Petco Certified Stylists, state-of-the-art pet spas, and rigorous safety standards mean pet parents can trust us to care for their pet—from nose to tail. That’s why we begin every grooming service by conducting our 7-Point Pet Care Check, a visual and physical screening to make sure nothing looks or feels abnormal. Pet health matters, so we take the time to carefully inspect pet’s eyes; ears; teeth; nose; under-side; skin and coat; and nails and pads to make sure pets are healthy—and ready to be pampered. Our Positive Dog Training program promotes a relationship of mutual respect and trust between dogs and their pet parents by using positive, rewards-based training methods. Our fun, educational classes teach how dogs think, learn, and communicate, as well as how pet parents can encourage appropriate behavior—and polite dog manners—out in the real world. We offer a variety of classes to keep a dog’s mind engaged and learning, while our trainers closely observe their responses and offer tips for improvement. Our professionals focus closely on dog-friendly communication, personalized instruction, enrichment opportunities, environmental management, and of course, compassion to help strengthen communication and build trust. If you love pets and have a creative bent, a role on our Pet Stylist team could be a great fit for you. You’ll use your natural knack with pets and their people to help strengthen relationships, as you make their pets look great with bathing, styling, and a bit of extra pampering, too (nail pawlish, anyone?). If you’re already experienced in pet grooming or own an independent pet grooming business, you’ll enjoy the freedom and stability we offer. If you’re just starting out, we offer a Stylist Training Program to get you started. In fact, we offer many different layers of safety, policy, advanced, and specialty training to help you advance, from Salon Apprentice all the way up to Grooming Salon Leader. Your future as a Pet Stylist starts here! 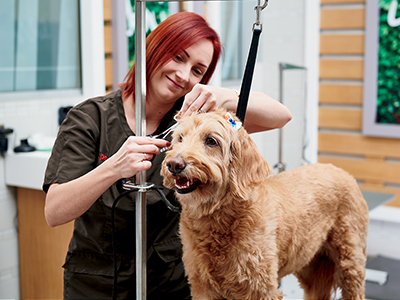 As a Grooming Salon Apprentice, you’ll provide basic salon services, customer service, and administrative tasks to make sure pets and Pet Parents have a great grooming experience. This position will prepare you for Petco’s Pet Stylist Apprentice position. In this role, you’ll receive technical training from Petco’s Professional Pet Stylist Mentors. You’ll grow your knowledge about animal welfare, as well as learn about Petco’s unique perspective on grooming. Here, you’ll use your creative skills and attention to detail to groom cats and dogs, while paying special attention to Petco policies and procedures, including the GUEST+ model and OSE standards. You’ll provide quick and courteous service to pets and their parents, and of course, you’ll follow pet parents’ specific requests, while making the safety of all animals in your care your top priority. In this critical leadership position, you’ll ensure that your salon operates efficiently and effectively. You’ll be responsible for achieving the targeted goals of the grooming salon, overseeing daily operations, and training and coaching your staff. You’ll make sure all the pets and people in your salon are well cared for, while also making sure that your salon lives up to our promise to pets and pet parents. Our Dog Trainers take a personal interest in providing quality training for dogs and valuable education to our pet parent customers. Your positive approach to dog training and deep understanding of canine behavior will enable you to conduct dog-training classes while consulting with pet parents to solve training and behavioral issues. You’ll also help nurture the bonds between dogs and their pet parents by using positive reinforcement. We offer group classes for puppies and adult dogs, as well as seminars and workshops, the AKC Canine Good Citizen Certification, and private lessons. Our methodology utilizes proven, science-based training principles based on research conducted by internationally renowned psychologist and behaviorist, B.F. Skinner. To prepare for their work at Petco, our Professional Dog Trainers undergo an intense 16-week training program that’s updated yearly with the most cutting-edge methods, ideas, and principles. So you’ll become an expert at understanding dog behaviors, and you’ll learn the most effective new techniques to help build the human-pet bond. Our Dog Trainer Apprenticeship is a comprehensive training program that prepares you for the role of Dog Trainer in your store. As the primary resource for Petco’s Positive Dog Training program, you’ll enhance communication and teamwork between dogs and pet parents by offering positive solutions and rewarding success, while providing a fun and safe environment for dogs, pet parents, and store partners. 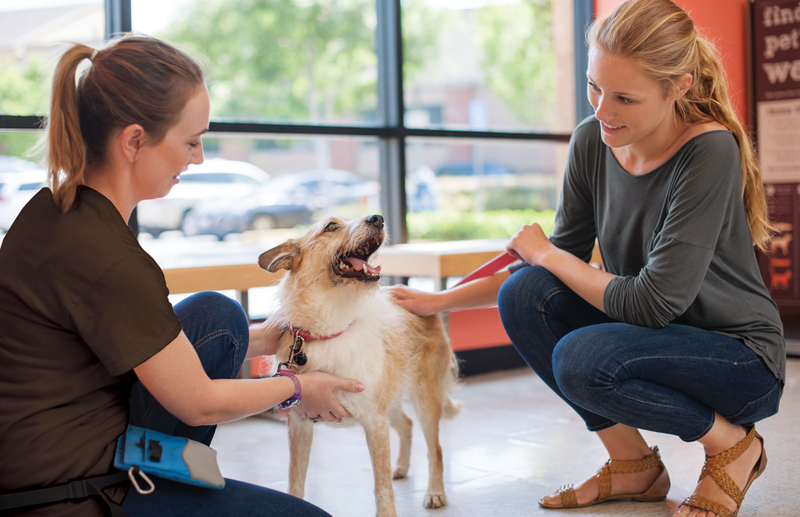 In this role, you’ll help lead your store’s Positive Dog Training program. You’ll be responsible for reaching the store’s budgeted sales goals, as well as educating and engaging all store partners. You’ll follow our Positive Dog Training curricula and methodologies to help pet parents build trust and teamwork with their dogs. You’ll also act as a subject matter expert for our training program, products, services, and in-store promotions, as you strengthen relationships through fun, educational training. As a Dog Training Mentor, you’ll be responsible for delivering all program offerings and maintaining operational standards within your store. 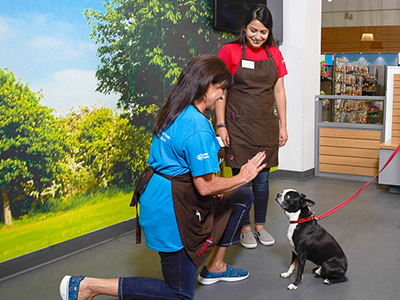 In this role, you’ll educate and engage store partners while driving Dog Training sales and fostering a collaborative culture within the store. You’ll lead store education and communication for new training offerings, program changes, in-store events, and other training initiatives. You’ll also train, guide, and develop current Dog Trainers for the Senior Dog Trainer position.